GENEVA (AP) — The United Nations human rights office called on the Trump administration Tuesday to "immediately halt" its accelerating policy of separating children from their parents after they cross the U.S. border with Mexico, insisting there is "nothing normal about detaining children." 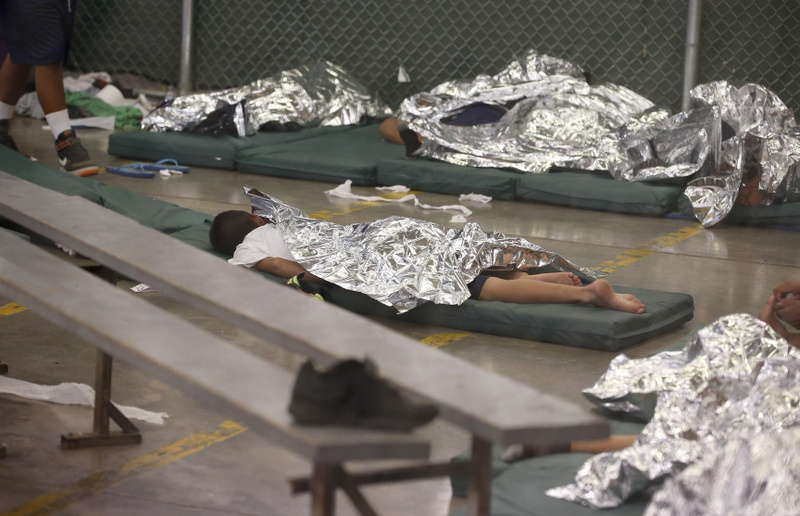 Ravina Shamdasani, a spokeswoman for the U.N. high commissioner for human rights, scolded the United States over the hundreds of children removed from parents who were jailed for entering the country illegally. She said border control appears to take precedence over child protection and care in the U.S.
Nikki Haley, the U.S. ambassador to the United Nations, lashed back: "Once again, the United Nations shows its hypocrisy by calling out the United States while it ignores the reprehensible human rights records of several members of its own Human Rights Council." "While the high commissioner's office ignorantly attacks the United States with words, the United States leads the world with its actions, like providing more humanitarian assistance to global conflicts than any other nation," she said in a statement. "We will remain a generous country, but we are also a sovereign country, with laws that decide how best to control our borders and protect our people," said Haley, who is also a member of Trump's Cabinet. "Neither the United Nations nor anyone else will dictate how the United States upholds its borders."